Plan ahead. health insurance in retirement can be expensive. If you’ve held a stable job for most of your career, it’s likely you haven’t had to give much thought to your health insurance plan. Instead, it’s been a benefit consistently offered through your employer. With retirement approaching, now what? You’ll want to follow the steps below to evaluate your health insurance retirement options. The first thing to do is learn all about your existing health insurance benefits and how they change in retirement. Do you have the option to continue with your group plan? Have you worked there for enough years, or reached an age where you become vested in certain health insurance benefits? Attend workshops and read all the literature your employer provides on health insurance in retirement. If your employer does not offer a retiree health benefit plan, will you be eligible to stay on the current plan under COBRA provisions? If so, find out for how long, and how much it costs. If you are retiring before age 65, the good news is you can't be denied coverage for pre-existing conditions due to the Affordable Care Act, which went into effect January 2014. However, the "Affordable" part of the Affordable Care Act didn't come about, so although you can get coverage, you may pay $1,000 a month or more if you are between the ages of 55 and 64. Trump is likely to alter the healthcare landscape, but the ability to get coverage regardless of pre-existing conditions is likely to stay. If you're planning on retiring before age 65, that's a good thing. When you’re age 65, most of you will become eligible for Medicare, but you’ll still have choices to make. For example, you may want original Medicare or a Medicare Advantage Plan. Each has its pros and cons. The most accurate information you can find is on Medicare.gov, but after learning all you can you may still want professional help in making such an important decision, which means talking to an agent. While you are exploring choices, make sure you build in estimated health care costs into your retirement budget. How much should you plan on spending? It depends on your insurance coverage. On average, plan to spend $10,000 per year per person for everything including premiums, dental, out-of-pocket costs, etc. Your best choice will be to talk to a health insurance agent who is contracted with most major health plans in your area. 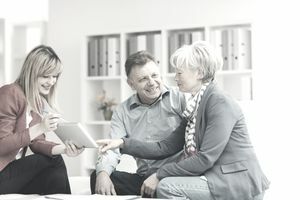 Particularly, look for a health insurance agency that specializes in health insurance in retirement; they can conduct a complete analysis of your options by asking you about your existing doctors and medications and then tell you which plans will provide the most cost-effective benefits based on your personal medical situation. One option for advice is to talk to Allsup's Medicare Advisor team. Another option is to find your state's State Health Insurance Assistance Program (SHIP), which will have volunteers who can help. Whether over or under age 65, once you have secured health insurance in retirement you should be proactive about evaluating it by conducting an annual review of your coverage options during open enrollment each fall. Benefits and costs change, and it is possible a new plan may offer you better coverage at a lower price; you won’t know unless you look. Once again, you’ll want to talk with an agent who is contracted with all major carriers to get an objective analysis. Which States Have Tax Breaks for Retirees?